We can't think of anything better to beat the heat than a nice cold ice-cream in the sunshine ... with extra sprinkles, of course. We'd like to think of your one-time passwords as the sprinkles that complete your Login items. Now 1Password automatically copies those one-time passwords when you fill an item with the 1Password Extension, saving you a step and a giving you more time to enjoy that ice cream. Yummy! 1Password for Mac has also been updated with the same features that were added to iOS, but the update has not yet been made available for the Mac App Store. It should be coming soon. I love 1Password, but they're going to have to work very hard to get me to give up Authy for one-time passwords. I'll have to take a look at this. i gave up on authy. so much better to go with 1password. no need to fiddle with two separate apps. I never really got 1Password. 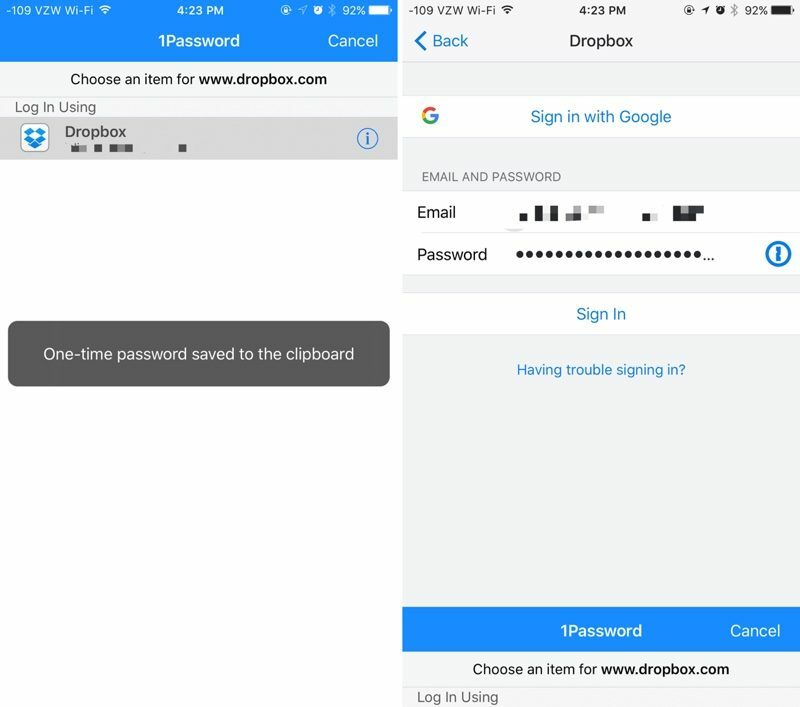 I find it a little clunky and poorly designed in some regards (namely modifying existing passwords, adding extra sections, UI bugs a plenty) and because of that I'm so glad that Safari can now fill passwords in other apps - Safari syncs passwords around my iOS devices much better than 1Password. I have 1Password installed on my iPhone and iPad however it costs a bomb for the Mac (€69.99). That's odd. I've never had an issue with 1Password. It has always worked flawlessly for me. I will admit, it is expensive, but I think its worth every penny. Keychain has failed me on quite a few occasions. I actually like it better than Authy just because it's simpler having everything in one place, but I am lazy and haven't transferred everything over because it is a hassle to change two-step verification apps. This is great but I think iOS 11 offers this anyhow. I noticed testing iOS 11 out that it pretty much fills in my username and password info on safari for me. And in apps, I just hit the icon and it does the rest for me. It is very easy to set up one-time passwords in 1password. I ditched Authy and haven't regretted it.